I love the look of fountain pens, but don’t they always leak? A leaking fountain pen is a sign that something is either broken, misaligned, or you’re throwing it around too roughly. A fountain pen with a nib and feed that are properly aligned and fitted into the section properly should not leak if carried with care. If you drop your fountain pen, it’s possible some ink will splatter into the cap and then smear on the nib and section, giving the impression that it has leaked. Eyedropper fillers are more likely to leak or burp ink than pens with other filling systems. As ink levels in the barrel runs low, the heat from your hand can expand the air in the barrel, forcing ink into the feed. A cracked feed or section can cause leakage as well. 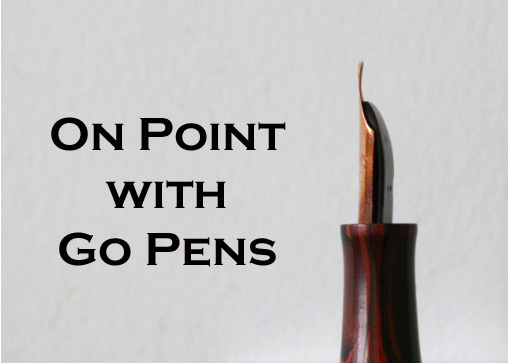 A fountain pen that is in good working condition should not leak under normal circumstances.